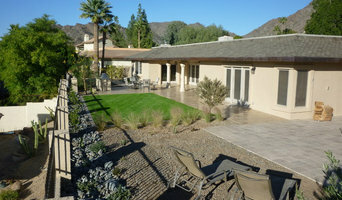 When you want to make your home your dream home, choose Extreme Dreamz Custom Landscaping. 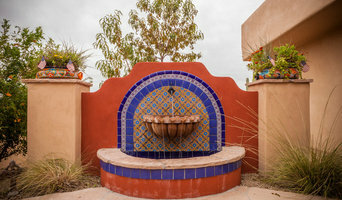 We specialize in installing unique, custom residential and commercial landscapes. 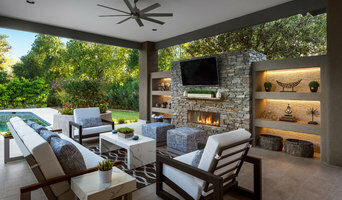 Serving the greater Phoenix valley, including Prescott area, our professional team has created some of the most beautiful backyard home "resorts" in the state. We are your single contact from beginning to end; our capabilities include planning and construction of hardscaping, pools and landscaping and all the details that go with it. Sit back and relax, we will be your project manager so you don't have to do anything more than watch your dream yard become reality. With over 40 years of combined experience, you can be assured to get only the best results when we are your team! Our work is 95% referrals, and many repeat customers. Our work speaks for itself! Give us a call and let us wow you. Cynthia Ann Design has over 20 years experience in designing Unique and Elegant spaces for the discriminating client. She has been awarded over a dozen awards for her creative designs.